Survey Results! What Do You Like To See On Author Blogs? A few weeks ago I posted a survey link to find out what people like to see on author blogs. If you haven’t participated in the survey you can do so here. I will share the results periodically as more people respond to the survey. The most popular genres that respondents like to read, in order of most to least popular, are: romance & women’s fiction/chick lit (tied first), romantic comedy, mystery, thriller/crime/suspense, historical, paranormal, young adult, literary, Australian rural fiction, steampunk, men’s contemporary fiction, and sci-fi. 75% of respondents have a blog, 17.5% don’t, and 7.5% are thinking about getting one. Of those that have a blog, 40% only post when they get a topic idea, 23.3% post a few times a week, 20% post once a week, with the remainder posting one or two times a month. None of the respondents post daily. 40% of respondents regularly visit author blogs a few times a week, 32.5% visit author blogs when they are enticed by an interesting post, the same number of people (7.5%) visit daily, once a week, and a few times a month, with only 5% visiting once a month. When asked which factors influence the decision to visit a particular blog or blog post, 82.1% of respondents said that knowing the author professionally or personally made them want to visit the blog. 79.5% visit a blog to learn about a specific topic, 64.1% visit based on the recommendation of a friend or an interview with a favourite author, 51.3% visit to discover a new author or book, and surprisingly, only 38.5% visit a blog to enter a contest or giveaway. Some other reasons people mentioned that cause them to visit a particular blog were: to learn how to do their own blog, to keep up to date with industry information, to visit the blog of someone who commented on their own blog, posts with interesting titles, recommendations via facebook and twitter, and to support fellow writers. The most popular types of blog posts/categories, in order of most popular to least popular, were: How-To articles & tips on writing, interviews with publishing professionals, How-To articles on author marketing, opportunities to pitch your book to an agent or publisher, author interviews, humorous posts just for fun, book reviews, info on upcoming new releases from authors, excerpts from books, book giveaways, free short stories or serials, giveaways for non-book prizes, and character interviews. The most popular topics to read about on blogs were: digital publishing, writing books, marketing & promotion, the story behind a book & how it came to be, cover designs, how to get an agent or publishing contract, a writer’s life behind the scenes, self publishing, readers guides/book club questions. In author interviews on blogs, the most popular things people like to find out about the author are: info about their latest book, what they’re working on next, where they get their ideas and inspiration, how they came to be an author, how they balance family/life with writing, info about their other job or previous career, how to connect with them online, fun things like favourite colour/movie/tv shows/books/music/hobbies. Respondents also commented that they’d like to see more specific information about developing writing skills, fun character interviews to find out things that weren’t in the book, and detail about the author’s processes from beginning of the idea to the end result. As with all surveys, the results are only representative of a selection of people so take from it what you will, and I hope the results help authors to plan their blogs with the reader in mind for the greater benefit of both parties. So next time you’re thinking hmmm… what will I blog about? Take a look at these results and maybe you’ll be inspired and come up with a top idea that readers (and writers) will love. Posted on November 18, 2012, in General, Marketing & Promotion, Surveys and tagged author blogs, blogging, blogs, survey results, surveys. Bookmark the permalink. 19 Comments. I had to try not get distracted when I was adding the blog links, some good articles around. Thanks for this, Juliet. 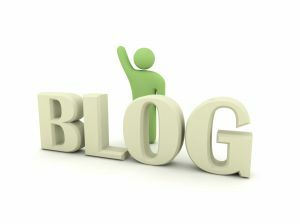 Always on the lookout for any tips to make the blog more interesting. I agree re the giveaways. From my experience with Friday Feast it seems an interesting or fun recipe counts more than a giveaway. But timing is also critical. There are weekends throughout the year where people are just too busy to comment. Mother’s and Father’s Day are good examples.Things are always quiet then, but I think there’s a trend toward less blog commenting anyway. We’re all time poor and some blogs make commenting such a chore with all those captcha widgets and previews and carry-on. I usually give up after one try with those. If you make commenting onerous, people won’t do it and some make even leave your blog feeling cranky which is never good! You’re keeping the survey open? It’d be great to have a follow-up post, perhaps with more reader respondents. You’re welcome, glad you found the survey interesting. And thanks for sharing your experience too, i think timing definitely is crucial, and those captcha things are a pain! If I’m time poor but have enjoyed the post I’ll often just click the ‘like’ button that most of them have. Thanks for posting the results! And yes, I agree: reading apologies for not blogging gets very dull! Really useful post, Juliet, and thanks for doing, and sharing, all that research. Much appreciated. Author interviews and craft tips are a great help always.